Hi everyone! It's Traci and I'm happy to be back to share my calendar project with you. 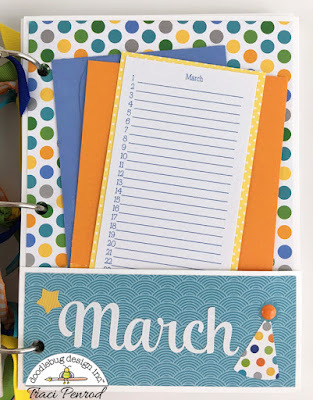 I'm a computer girl and really don't use a traditional planner, so when the design team was asked to create a calendar or planner project, I really had to think outside the box a bit. 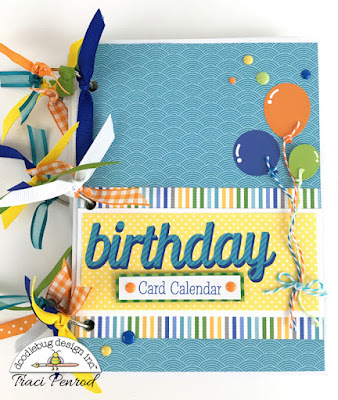 I decided on a birthday card calendar book so that I could easily keep track of monthly birthdays and have cards ready to send. 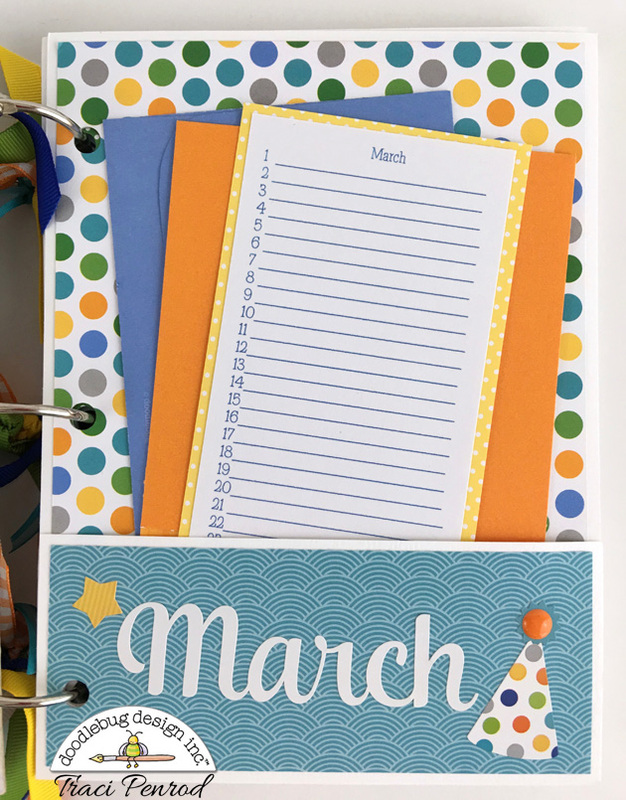 I created the album with two pieces of chipboard for the covers, and then made a pocket page for each month out of card stock. 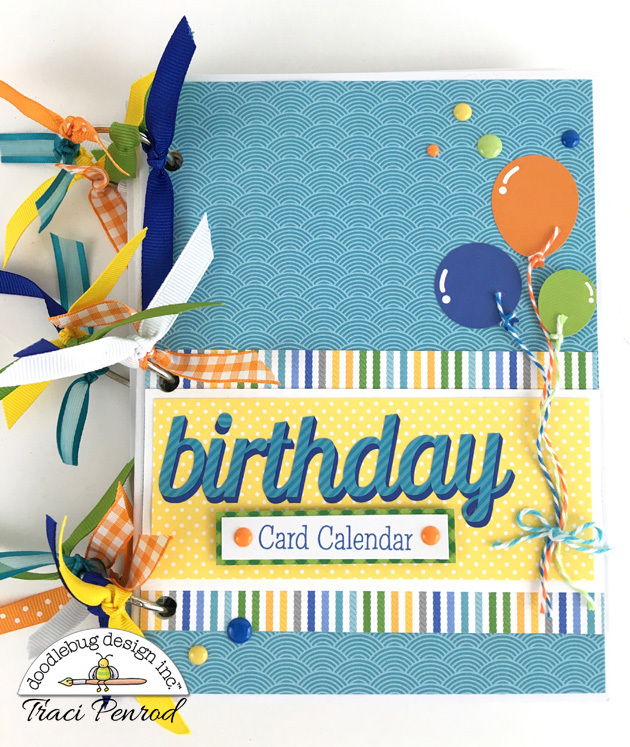 I picked a color palette and then had fun adding papers from Doodlebug's newest collections throughout the album. 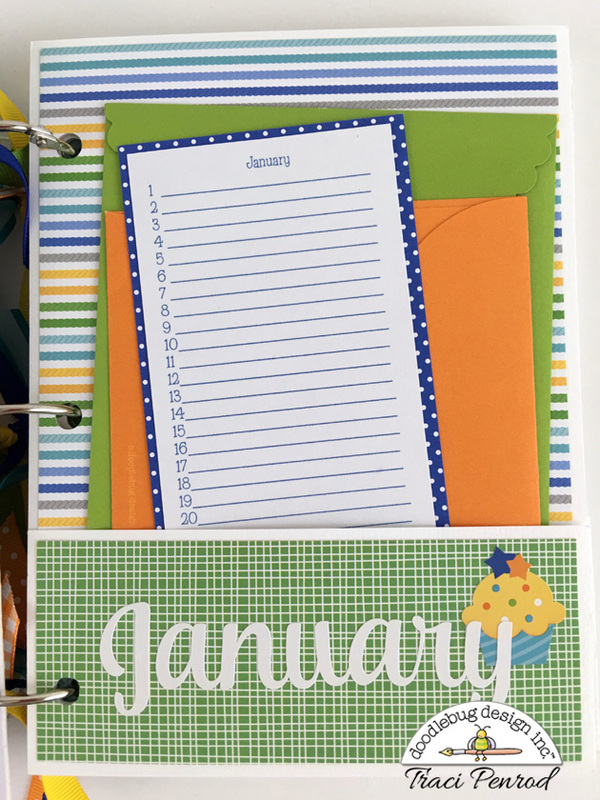 I love the Daily Doodles Jan-Dec month stickers, and I added a few birthday stickers from the Hip Hip Hooray collection too. 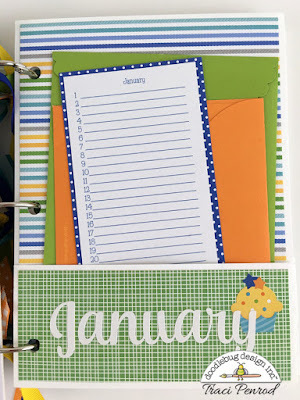 I created easy lists so that I could record birthdays for each month and tucked the cards I plan to send out in each pocket. Now I'm organized and hopefully won't forget a birthday!! 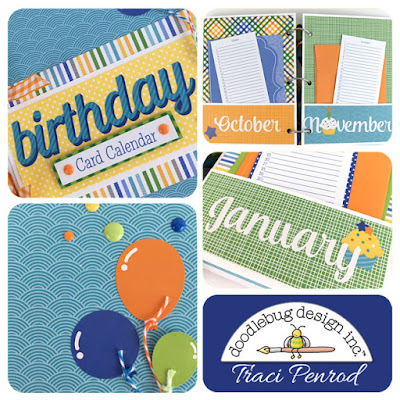 This is a fabulous idea Traci! Anyway there will be a class kit for this project? Or at least a tutorial project to sheet? I was just asked to teach at a local shop and love this project. Traci - this is so awesome!! Love the colors you used to make this and what a fantastically cool idea!! I think you are so clever and I love all that you share with us! 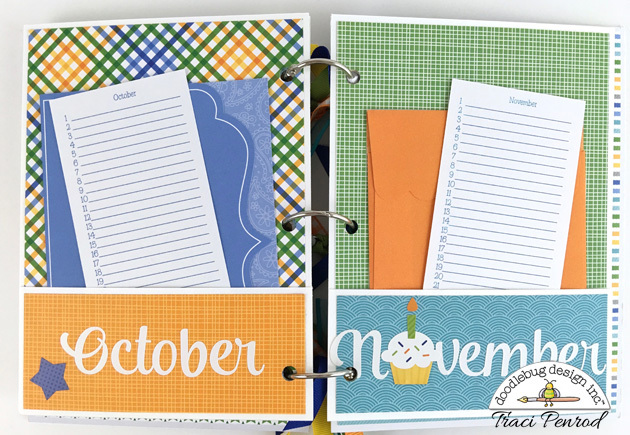 What a perfect and super fun way to keep track of birthdays and birthday cards throughout the year! Your albums are always so creative and wonderfully done!